Figures: Hours - White on Black, Tenths - Red on white. The Digital Power Meters are the fifth generation of Yokogawa's best-selling compact power meters: instruments that play a key part in ensuring optimum standards of energy efficiency and conservation by measuring the power consumption of electrical equipment. - Accuracy with fast display and update rate. - To accommodate the high demand of optical fiber cables with fiber optic networks, communications and transmissions. Our company is providing Portable Power Factor Meter. In addition, this product is available in varied configurations that meet on consumer’s demand. The C191HM Energy Multi-meter with the Harmonic Analyzer measures monitors and controls individual harmonic and energy parameters via display. It also provides full analysis of harmonics distortion flow via communication. 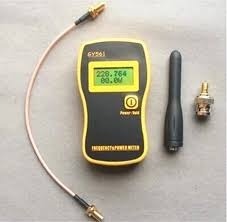 It is possible to make high frequency rf power meters using homebrew directional couplers and other easily available parts. - Din sized enclosure . - *Front button and external potential free (Zero volt/no voltage) terminal contacts for resetting in manual mode. - LED indication for power , relay status and fault condition. 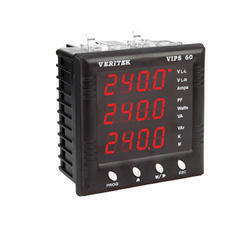 - *Trip delay time and limits of all parameters are factory set. We are a eminent name engaged in offering Power Factor Meters. Developed by making use of supreme quality and production techniques, these offered Power Factor Meters satisfy defined parameters of the industry.